Real talk: It's hard, but it's not impossible. You know that quote about insanity—the one claiming that its definition is doing the same thing over and over and expecting different results? (It’s often attributed to Einstein, but there’s no solid evidence of that TBH). Well, that’s basically how it feels trying (and trying, and trying) to lose weight when you have hypothyroidism. The good news: It’s not just you, because (the bad news): It really is harder for those with the condition to drop kilos. 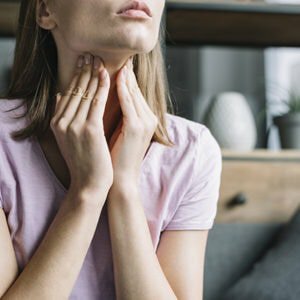 A quick primer on hypothyroidism, ICYMI: It happens when your thyroid (the small, butterfly-shaped gland in your neck) doesn’t produce enough thyroid hormones. 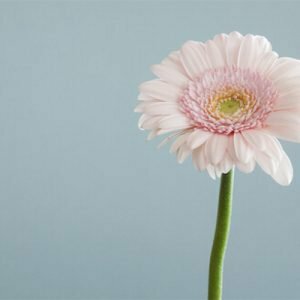 When it’s functioning normally, those hormones produced by the thyroid regulate how your body uses energy, keeping the brain, muscles, and organs working; in fact, most people don’t even know that their thyroid is there until there’s a problem with it, says Dr Marilyn Tan, an endocrinologist at Stanford Health Care’s Endocrinology Clinic. But when there’s a problem, you’ll know it—that little gland can cause a whole slew of issues, like changes in body temperature, skin texture, and, yes, weight fluctuations. For women with hypothyroidism, it often feels like their hormones are working against them when it comes to weight loss, and, well, that’s because they kind of are. In addition to everything else they do, thyroid hormones also regulate your metabolism; and low levels of thyroid hormones make for a slower metabolism, says Dr Elizabeth Pearce, an endocrinologist specialising in thyroid disorders at Boston Medical Center. “Women with hypothyroidism tell me they’re on a 5 020 kilojoule diet and they can’t lose weight. In the end, it’s much more difficult to lose weight and keep it off,” says Dr Caroline Apovian, an endocrinologist, weight loss researcher, and director of the Center for Nutrition and Weight Management at Boston Medical Center. But that doesn’t mean weight loss impossible. Here, a few tips that will make losing weight when you have hypothyroidism a little easier. First things first: You’ve gotta get it diagnosed. If you’re experiencing symptoms of hypothyroidism—fatigue, unexplained weight gain, increased sensitivity to cold, constipation, and dry skin—it’s time to see your doctor, who will do a blood test to determine your TSH levels. If your doctor finds high TSH levels, you’ll likely start treatment for hypothyroidism—and it’s a pretty straightforward approach: You’ll be prescribed a cheap, safe, and effective synthetic hormone that replaces the one your body should be making on its own. The medication will restore normal levels of TSH. READ MORE: Just How Worried Should You Be About Thyroid Disease? Next: Rev up your strength-training routine. Researchers aren’t sure why, but your thyroid hormone affects how your muscles function; in women with hypothyroidism, that equates to abnormal muscle function, which means they’ll have a harder time building and maintaining muscle, even after they start meds, according to Apovian. “Women with hypothyroidism have to work harder at every level despite treatment,” she adds. But, working harder to have more muscle will be worth it. That’s because muscle burns more kilojoules than fat, so even when you’re not working out, having less of it puts you at greater risk of weight gain. For the best results, Apovian suggests two to three strength-training workouts a week. Each session should last about an hour and work all of your major muscle groups—upper body, lower body, and core. Aim for three sets of each exercise you do, using a weight that’s heavy enough to have you maxing out at eight to 12 reps per set. Pick up the pace on cardio, while you’re at it. Shoot for about 30 minutes to an hour of activity five days a week, suggests Pearce. That can include any sort of activity where you’re sweating and getting your heart rate up, whether it’s jogging, walking (you get the picture)—whatever keeps you motivated and having fun is the right thing to do. Finally, add more protein into your diet. Along with proper exercise, Apovian says protein is the other key to building muscle. Her suggestion is backed by the Center for Nutrition and Weight Management, which recommends a higher-protein diet of 1.2 to 1.5 grams of protein per kilogram of ideal body weight for women with hypothyroidism. That means, if your ideal weight is 60 kilograms, you should have 70 to 90 grams of protein daily. A good rule is to build your meals around protein, but also include lots of veggies, healthy carbs like fresh fruit and whole grains, and healthy fats like avocados and olive oil. Even with these guidelines, it’s worth working with an registered dietician to come up with a personal diet plan for hypothyroidism, as certain foods or dietary restrictions (think: being lactose intolerant or eating a lot of soy) can screw with your hormone levels even more. 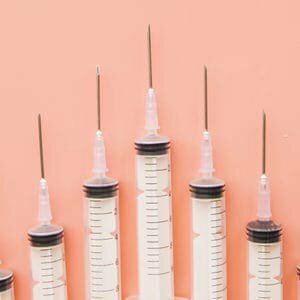 Should You Get A Steroid Shot For Your Allergies?